Launched to coincide with SAP Ariba Live in Madrid, Ramesh Varsani, co-founder of ExceleratedS2P and Cordis Solutions, will be presenting this new application and show what Ariba partners and customers can do with the new open API. 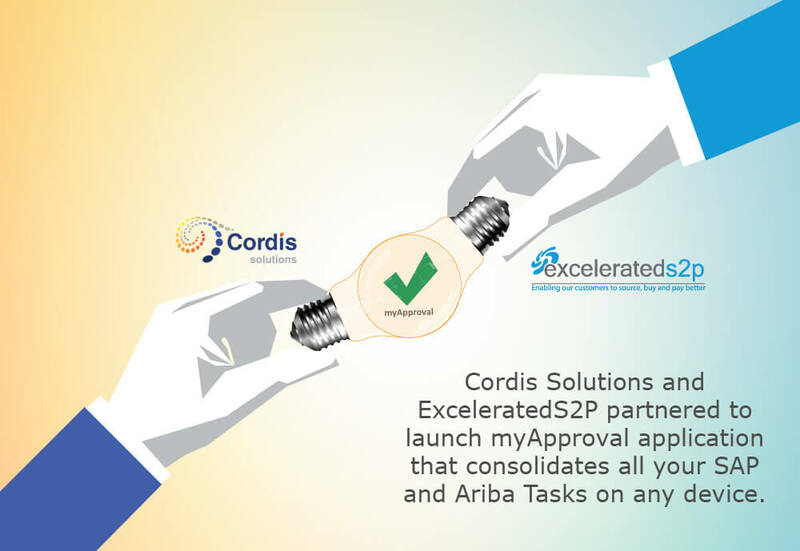 Cordis Solution’s myApproval is a third party application available for the Ariba platform, myApproval provides a single application to allow managers to approve, reject and manage any SAP and Ariba approvals using multiple interfaces including SAP UI5, SharePoint, Outlook and Outlook O365. ”…With the Ariba Open platform we will now have the opportunity to consolidate and enrich the information presented by Ariba to make better and more informed business decisions…” says Ramesh Varsani. “…The platform will help us to meet industry and business specific requirements in a fast and efficient manner…”. Cordis Solutions is a recognised partner of SAP and Microsoft for the provision of enterprise-class applications that solves tactical issues and facilitates business transformation. Our software enhances interoperability by combining the raw power of SAP with the simplicity of Microsoft, to access important information from across the enterprise. ExceleratedS2P has profound expertise in procurement transformation and adoption. We understand that each organization is unique and operate in different markets, sell different goods and services, and procure from many suppliers. Hence, we have a specialized team of sourcing and procurement professionals who leverage benchmark information and best practices that drive immediate results during and after the project.